Osteoarthritis (OA) is one of the most commonly encountered conditions that people over fifty are affected by. Age alone is only one of the primary factors behind OA. Others include genetic predispositions, gender, previous trauma or injuries, workplace environment, obesity and other medical conditions affecting the joint and it's cartilage. The symptoms vary from slight creaks in the joint, pain, swelling and the loss of movement. Stiffness upon waking up or sitting for long periods of time can also trigger severe stiffness in the joint. As OA is a degenerative joint disease there is no outright cure. Upon detection of the symptoms, and finding characteristic loss of motion in the joint, a sport medicine doctor may order imaging - X-rays - to confirm the diagnosis. While joint replacement can be a reasonable solution for advanced OA patients, there are many non-surgical steps that can help with osteoarthritis. Many studies have shown that exercise is among the best ways to improve quality of life. Physical activity boosts your energy, strengthens your muscles and bones and keeps your joints flexible. Seek out a physiotherapist or chiropractor who can demonstrate some exercises and activities that are safe for people with osteoarthritis. If performed safely, the increase in strength can protect and support joints affected by OA and has been shown to delay the need for surgery.. Obesity is one of the primary causes of OA, and a few pounds shed will go a long way to maintaining the health of your joints affected by osteoarthritis. Food can be a source of fuel and passion. Our choices can be influenced by so many factors, it can sometimes be hard to consistently make healthy decisions. Try and pick one or two meals a week to start, buy the right foods, and with consistency there will noticeable changes. Foods with vitamin C, Omega 3s and magnesium can help. These are found in fruits, vegetables, fish and by simply following a balanced diet. There are many ways to eat healthy, enjoy food, and it will help your joints and overall health. If you're looking for a resource locally, Gilliam Thomas from Gillian Thomas Fitness can help you modify you're foods in a way that is compatible with your lifestyle. Check her her latest blog post here (3 Tips for Weight Loss Without Counting Calories). The symptoms of OA can be hard to cope with. Ensure you are letting your joints rest when you can as over exercise can cause flare ups of symptoms. Think of joint sparing ways to bend or sit- avoid curling up with your feet under when seated; avoid kneeling down the entire day to get the weeding done all at once. A massage therapist, chiropractor, or physiotherapist can use soft tissue techniques, acupuncture, or modalities like ultrasound, to help alleviate some the pain and swelling around your affected joint and its supporting muscles. Lastly, a good night's sleep goes a long way towards overall health and wellness. If your pain is keeping you awake, talk to your medical team about different methods of taking pressure off painful joints with pillows and other sleeping aids. That's a big word. Viscosupplementation is an injection of a gel like fluid, a lubricant called hyaluronic acid, into the affected joint. Hyaluronic acid is already found in joints and it has been shown that people suffering from osteoarthritis have below the normal levels. The gel acts like DW40 on a creaky door; it enables bones to move smoothly over each other and absorbs shocks on the joint. Often doctors will recommend injecting a corticosteroid followed shortly after by an injection of hyaluronic acid. Cortisone products are potent at reducing inflammation in joints and have been used for decades. There is now a combination of the two called Cingal. Fewer injections is a great way to prevent possibilities of infection. Lastly, in some cases, it will be recommended to perform the injection under ultrasound guidance. An ultrasound will give a live picture of where the sport medicine doctor is injecting the knee and it will help ensure the gel is being used in the exact area it's needed. Talk to your sport medicine doctor about the pros and cons of viscosupplementation, corticosteroids, and Cingal. 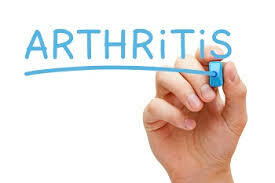 Osteoarthritis can affect many joints in the body. Bracing and home-aid companies have caught wind of the increasing number of patients with OA and have invested a lot to develop some great products. If a knee is affected, many of the larger bracing companies have designed off-loading braces which help alleviate pressure on the affected joint. Although this brace will take a little bit of time getting used, it can be very helpful when trying to keep active. In home products like automatic can, wine, and jar openers are very helpful tools for individuals with wrist/ hand osteoarthritis. It eliminates twisting the wrist under heavy loads. Talk to you medical team of sport doctors, physiotherapists, and chiropractors to see if they can help point out some helpful products to keep you going. For moderate to severe cases of OA, it may be recommended to see an occupational therapist who can help to find solutions for the everyday routine.